Linenspa’s bamboo bed sheets are soft, silky and come in some gorgeous colors that will remind you of a day at the spa. They have a lot to offer, but there is also room for improvement. Read on for my full review. 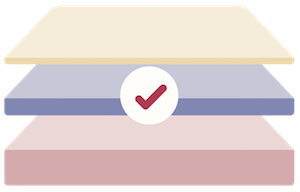 There is no information on Linenspa’s website about the company or information regarding their manufacturing process for products like bamboo sheets. The bamboo sheets from Linenspa were very comfortable to sleep on. I enjoyed the soft fabric and had no issues with skin irritation or feeling overly hot or cold during the night. I thought the Stone color was really luxurious looking. In the natural light it had a blue sheen to it and overall it reminded me of nice sheets I’d find at a high-end spa. 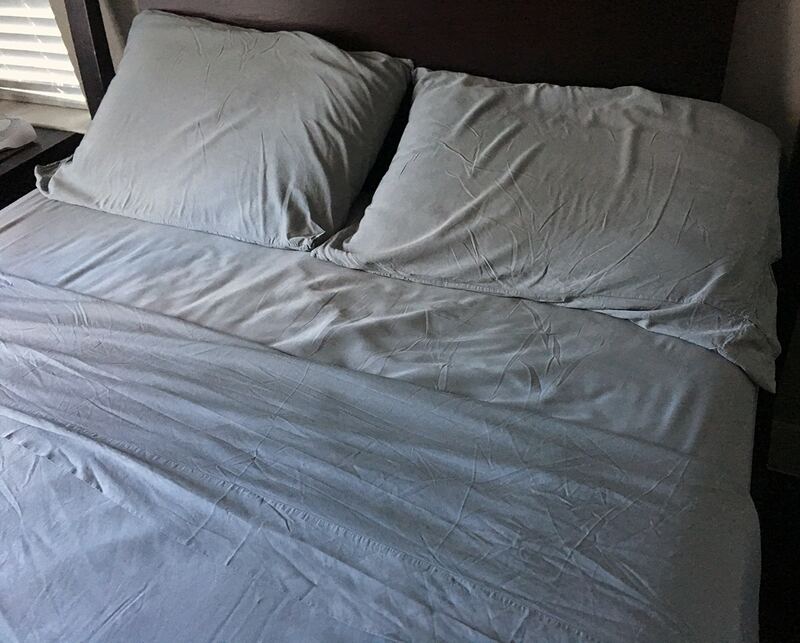 Compared to other bamboo sheets I’ve reviewed, the Linenspa sheets felt heavier as soon as I got them out of the package. I put them in a delicate cold wash and when they came out wet they were even heavier and almost stiff. 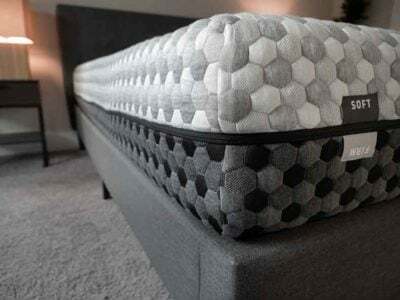 This reminded me of the Brielle Home sheets I’ve reviewed. I put the sheets on a light tumble dry and removed them almost as soon as they were done drying to try and avoid wrinkles. When they came out of the dryer they felt softer than they when I pulled the out of the packaging. The first thing I immediately noticed was the intense wrinkling at the end of both of my pillowcases. I thought it was a design element I’d just missed reading about (it’s not). 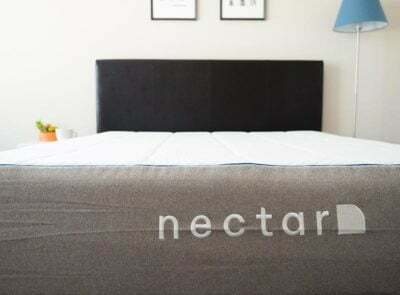 I also noticed some wrinkling near the seam in various sections of my flat sheet but was able to tuck it under my mattress so it wasn’t nearly as noticeable as my pillowcases. 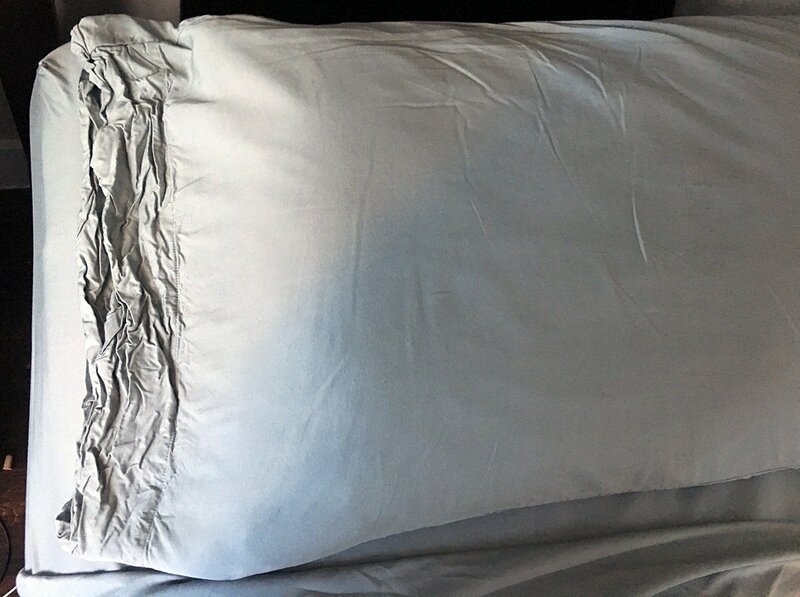 I thought this wrinkling had something to do with the way I washed or dried the bedding, so I re-followed the instructions and sent it through again but had the same results. The fitted sheet was a little bit of a struggle for me to get on. 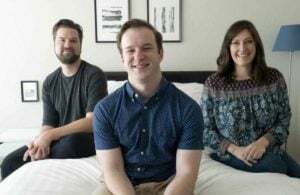 It was very tight but fit over my 10-inch thick mattress. There wasn’t a lot of room leftover, so I have a hard time seeing it fit well over anything thicker than 14-inches. The flat sheet fit fine on the length of my bed, but the width was a little tight. It came out from under the mattress during the night with little effort. This leads me to think that the sheets may have shrunk slightly while in the dryer – despite following the care instructions to tumble dry lightly. The care instruction and brand tags were attached to the top of the flat sheet. When I pulled the sheet up at night to cover myself and go to sleep, the tag was right by my head and sometimes touching my face. This was a pretty big annoyance and I don’t understand why they’d sew the tag there (unless it was a mistake). The sheets kept me comfortable temperature-wise during the night and felt very soft. I had no issues sleeping with them during the night except for the flat sheet coming out from under my mattress (and the tag occassionally brushing my face). Linenspa's Bamboo Bed Sheets come in a wide range of sizes and four color options. They are very soft sheets, however not lightweight. They wrinkled easily and inconsistently and the sheets seemed to have shrunk in the wash. While they were soft and I slept relatively well, I think the overall quality stops me from giving them a full recommendation. 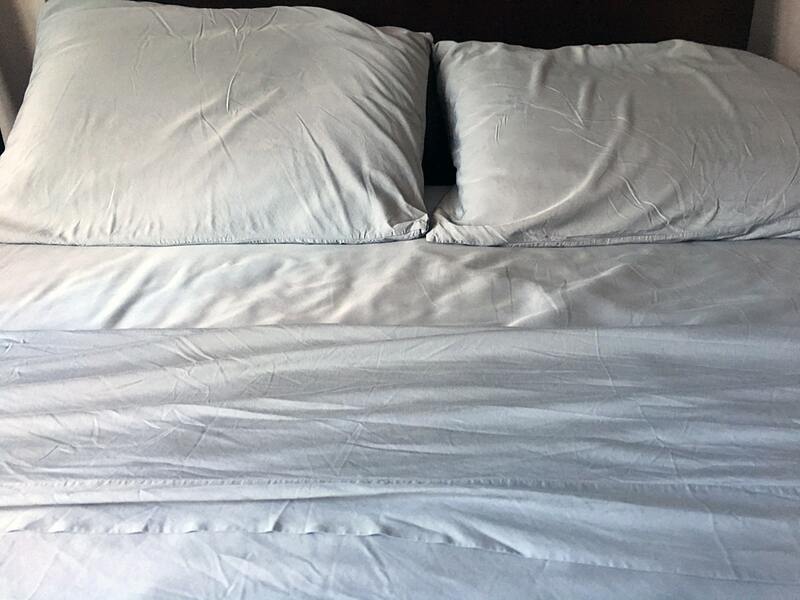 The extreme wrinkling, especially in the pillowcases, was echoed by many in the reviews I read on Amazon (the Linenspa website does not have any reviews for the sheets at this time). 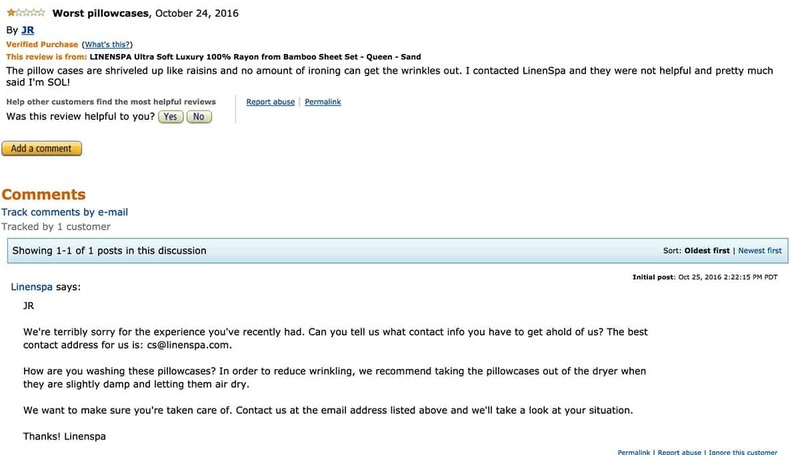 The Linenspa customer service team did reply to one reviewer and suggested they take the pillowcases out when they were slightly damp and allow them to air dry to avoid wrinkling. If you’re like me, taking extra steps to avoid wrinkling by ironing or air drying my sheets isn’t a realistic option. 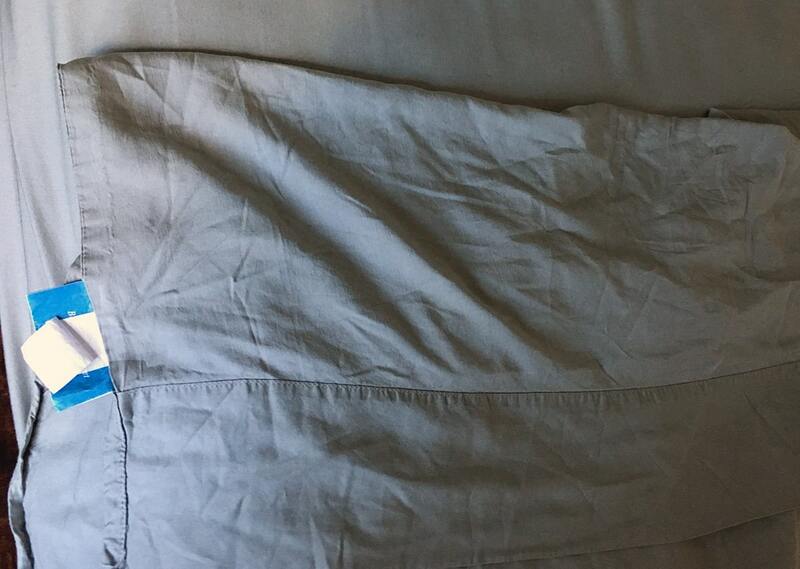 I truly don’t mind a little wrinkling, but I don’t think I’d be happy with the extreme wrinkling I saw on my pillowcases. The flat sheet was a little tight width-wise on my bed and I think this may have been because of shrinking. Other reviewers had issues with fit as well. 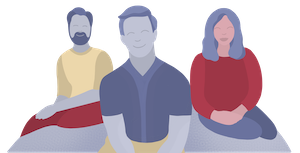 There are different ways to manufacture bamboo fibers into fabrics – some are more environmentally friendly than others (you can find out more, here). 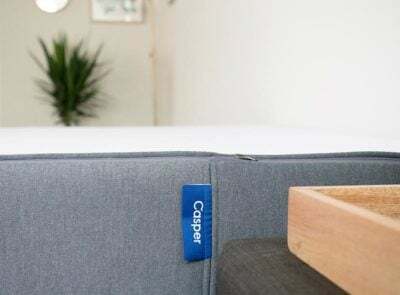 I couldn’t find any information on Linenspa about how their sheets are made but I would consider digging further if environmental impact is important to you when considering purchasing bamboo sheets. According to the Linenspa website, the sheets (Queen size) regularly sell for $139.99 but were available for $89.99. They are sold for the same price on Amazon. The sheets come in some lovely neutral colors and are definitely soft. 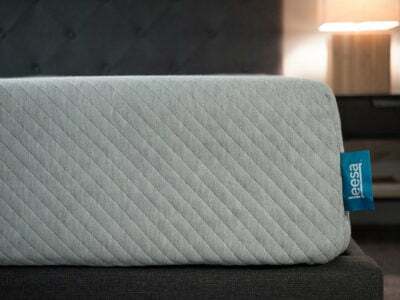 The thicker feel to the fabric may be enjoyable to those who like heavier sheets. 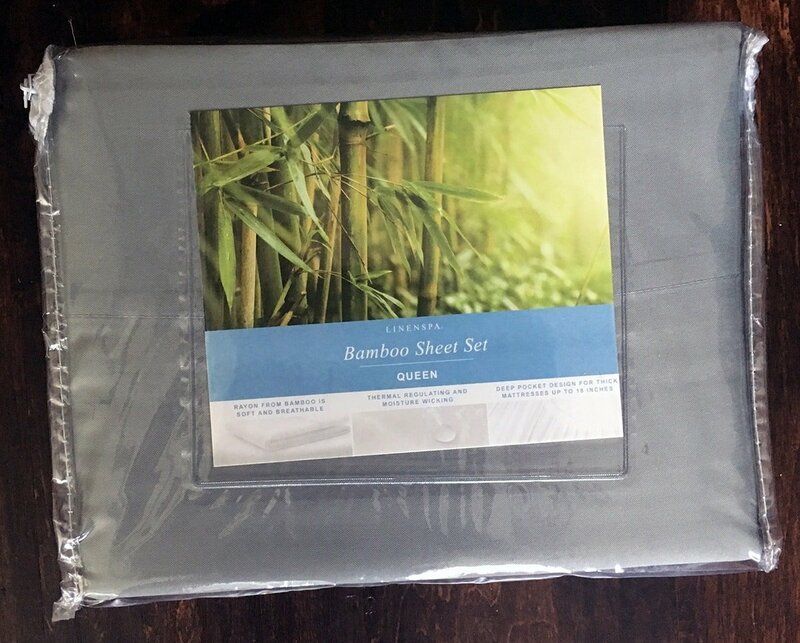 Due to the poor fit and extreme and inconsistent wrinkling in the fabric, I don’t think these are the right bamboo sheets for me. They were extremely comfortable, but I had a hard time getting over the wrinkles. I would also like to know more about how their bamboo fabric is made (including what chemical process they use). For those interested in trying the sheets, Linenspa does offer a moneyback guarantee.